This course is intended for foreign students who wish to attend University in Italy and it prepares them for the entry exams to the various faculties. In some cases, an entrance exam is required for all applicants, with a limited number of students accepted into a specific University program. In other circumstances, students will take an exam solely to introduce them to topics related to their major, with an open number of applicants. 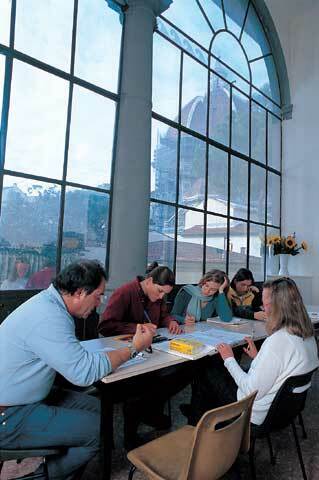 Our University preparation course at Scuola Leonardo da Vinci will prepare students by reinforcing language skills, it lasts 4 weeks: 140 lessons, of which 40 focused on the Critical thinking and reasoning and general Cultural themes and 100 to specific knowledge required to pass the entrance exam of the faculty of choice: Medicine or Architecture. To attend and complete the course, an intermediate knowledge of Italian is required: minimum a level of B1 or B2 according to Common European Framework of Reference for Languages.